Perhaps no one on the Minneapolis City Council will be more affected by the Super Bowl than Steve Fletcher. 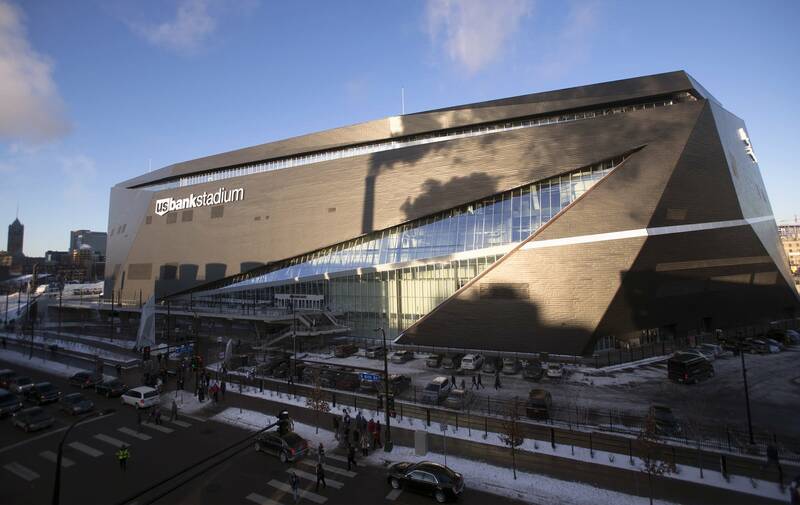 One of the class of newly elected members of the council, Fletcher lives in the Downtown East neighborhood which includes U.S. Bank Stadium. And he had some specific questions for the heads of the city's fire and police departments. "What is this going to feel like?" Fletcher asked Minneapolis Police Chief Medaria Arradondo during a Thursday afternoon briefing. "What should we be preparing people for in terms of, are we going to see people walking around in fatigues? Are we going to see gated checkpoints in our neighborhood all of a sudden?" Arradondo assured Fletcher and other council members the National Guard members who will be active and available will not be roaming the streets with rifles. The chief said members of the Guard will be confined to stationary posts near some of the sites which will host Super Bowl activities, such as the Convention Center. Fletcher also asked Minneapolis Fire Chief John Fruetel if emergency fire trucks will be able to quickly pass through restricted areas if they need to serve his neighbors. Fruetel said he's been assured fire trucks will be able to make it through security check points if they need to, although he noted "a big red fire truck can go through a lot of fence if we have to." Arradondo said law enforcement officers from 60 Minnesota agencies will assist Minneapolis police. Some officers will come from as far north as Ely, Minn. Immigration and Customs Enforcement agents will also be present. That prompted questions from council members concerned that agents may make mass arrests or approach people on the street to check their status. Arradondo said it's his understanding that ICE agents will only be used for Super Bowl security. "If in the event that we hear that there's complaints from community members of, as you mentioned, raids or these types of things, that are taking place within our city I'd be having those conversations with the Department of Homeland Security and certainly, their representatives," said Arradondo. Council members also expressed concerns that the increased number of law enforcement officers may result in a heavy-handed approach to policing protests. Arradondo told council members MPD is the lead agency. And he said they have already briefed officers from the assisting agencies that Minneapolis police focuses on making sure protesters can express their views safely. Council member Jeremiah Ellison asked if the department had a plan to handle possible counterprotests by white supremacist groups such as the ones who clashed with anti-racism demonstrators in Charlottesville, Va., last year. Arradondo said in that case, the department would likely take a different approach. He said officers may have to wear more protective gear to protect officers as they keep clashing groups apart and safe.